← A swarm that did not end up in the top of a tree! 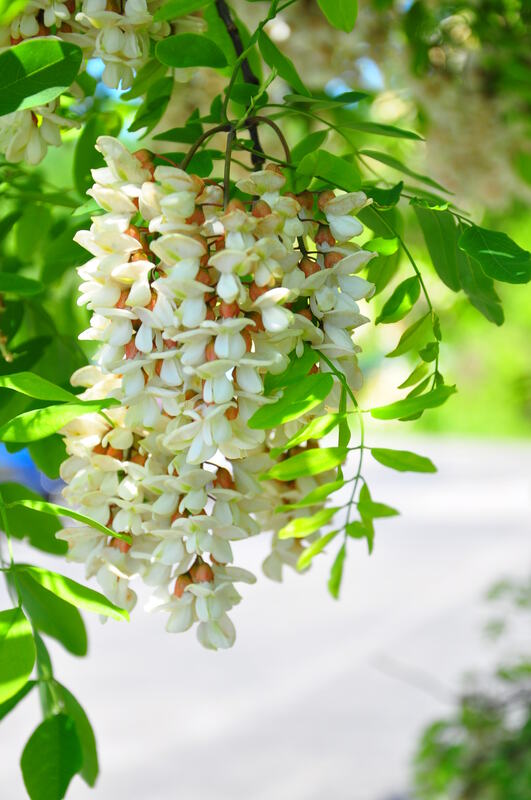 A beekeeper asks: Why aren’t there bees on my locust trees? 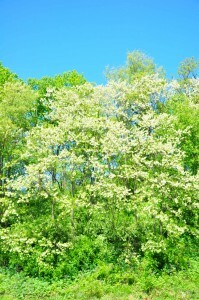 Posted on April 18, 2012 | Comments Off on A beekeeper asks: Why aren’t there bees on my locust trees? My hives are practically surrounded by black locust trees in full bloom, yet I’ve never seen a bee or any other bug around those blossoms. I noticed the same thing the last couple of years. The bees are in a major nectar flow right now, but is it not the locust? Two things can be going on. One is time of day. Many plants only produce nectar for a short time of day. 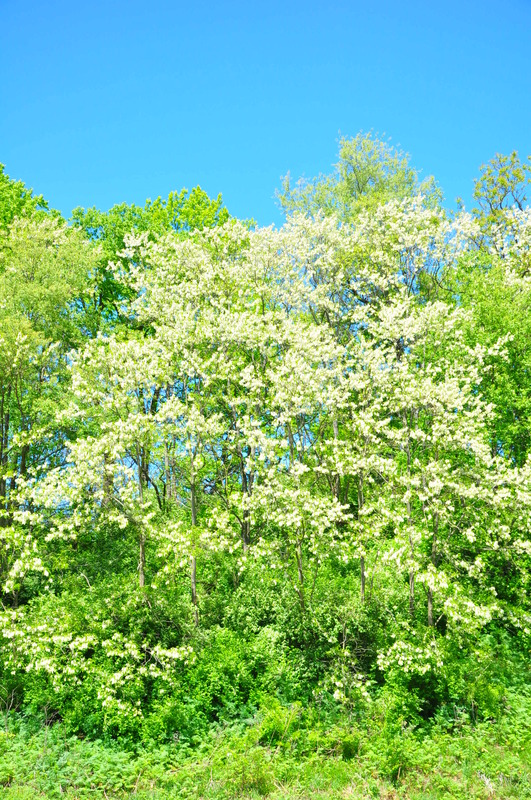 So you might not be looking at the blossoms at the right time of day. The other issue is quantity of nectar or plants available. You see this with clover a lot – nice clover bloom, but no bees on it. The bees would rather work a large patch of a single flower species rather than a small one, because we’re talking tens or hundreds of thousands of bees. So you have what you think is a nice patch of 15 locust trees, but a quarter of a mile away is a patch of 40 trees. Of course bees tell each other (through the dance language) where those patches are, and they communicate only the very good sources of nectar. Another, related factor is that this year we seem to have everything blooming at one time. 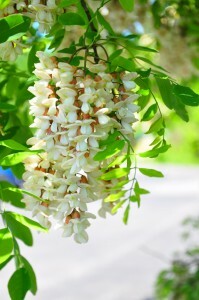 I’m seeing a lot of locust bloom as well, and I hope my bees are working it because it makes a wonderful honey. However, just now, there is also a tremendous bloom of bush honeysuckle, which is a very invasive, non-native plant. (Unfortunately many good nectar sources fall into this category.) It is flowering profusely, and I am definitely seeing bees on it. Sometimes they are just working a plant (same species or different species) that they can get more nectar from more quickly or efficiently. This entry was posted in Questions from beekeepers and Phil’s replies. Bookmark the permalink.